is an amazing website used by most water sports enthusiasts that gives details about weather around the UK (and elsewhere!) and they generated this handy sea temperature guide to help you decide what to wear! 2) Those waves look massive! How am I meant to learn? According to film and tv, when people surf, it’s always on enormous waves of 20-50 feet that I have never seen on any beach anywhere before. There are reefs, and stones, and horrible tides. It all looks very dangerous. Firstly, never surf where you feel uncomfortable. That goes for the experienced surfers as well as those of you who’ve never done it before. When you’re first learning to surf, you will almost certainly be focused on doing small beach breaks maybe 1-2 foot tall. These are perfect to start learning and understand popping up and balancing on a surfboard. Secondly, always make sure to do your research and be sure that you’re going somewhere suitable for you, and your level of experience! 3) What if I can’t stand-up in my first lesson, or I’m not good at it? From my perspective, one of the most important things to remember when you go surfing, is to have fun. You don’t expect to get in a car on your first driving lesson, and suddenly be a rally driver. Be comfortable going at your own pace, and make sure you enjoy what you’re doing. Some people find surfing harder, and some easier, when first getting started. It took me a while before I first stood up, but when I did, it was magical. I have been hooked ever since. So, in summary, get out there and have fun, and don’t forget me when you become that pro-surfer in three months. But if that’s not you, don’t worry about it; I am no expert surfer, but I love to turn up and have a crack at the waves whenever I get the chance. All it took was getting over my initial worries, and getting in the water with an instructor who cared and made sure I was comfortable. 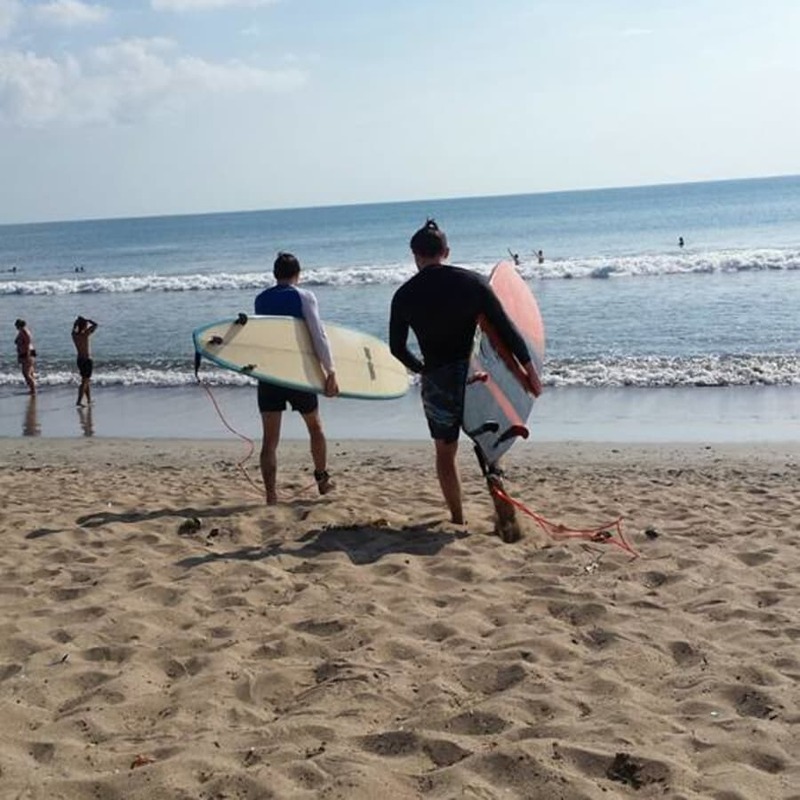 I’ve not looked back since, and four months after that first day in Scarborough, I went on a three week surfing holiday to Bali! Here at Eola, we always want to talk to people interested in learning. Reach out to me directly on callum@eola.co.uk if you want to know more! Or if you'd like to see where some good spots are to go surfing near major cities, we've written some blogs about it! It has finally happened. You’re going surfing. In the UK. Probably in Cornwall. I know I know, you’re going to be a world champion surfer in 3 months, with sponsorship contracts flying in all over the place. But in the meantime, you’re sitting there thinking “why on earth did I sign up for this?” Don't worry; we've got your back. We've all been there, and we are so thankful that we took that step. Surfing in the UK is incredible, and we want to be there to help you if you're thinking about it but aren't sure! Let’s look at some of the common concerns people have about that first time in the UK. 1. 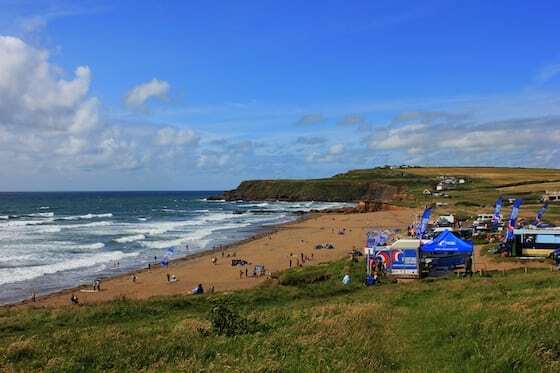 Is the sea in Britain too cold to surf? Halfway through the day, feeling too warm, I took off my gloves and hood and went back in the water. I then ran cursing back out of the water and put them back on immediately. I hadn't realised just how cold it was, since I was so warm in my kit. Wetsuits are very effective is what I’m saying. Magicseaweed is an amazing website used by most water sports enthusiasts that gives details about weather around the UK (and elsewhere!) 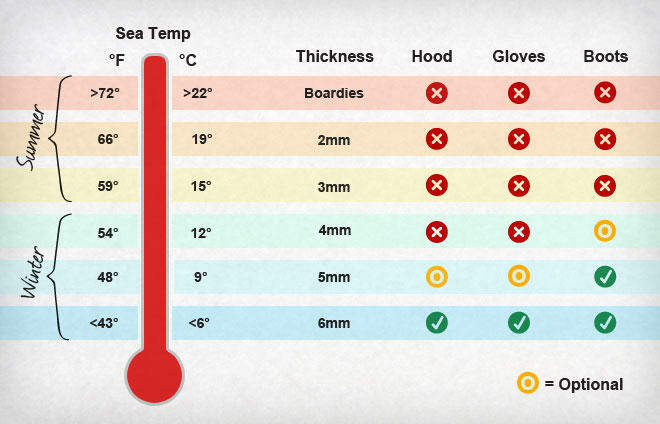 and they generated this handy sea temperature guide to help you decide what to wear! Here at Eola, we always want to talk to people interested in learning. Reach out to me directly on [email protected] if you want to know more!